Principles of Microeconomics - 2e covers the scope and sequence of most introductory microeconomics courses. The text includes many current examples, which are handled in a politically equitable way. The outcome is a balanced approach to the theory and application of economics concepts. 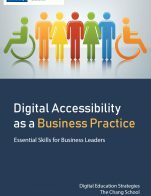 The second edition has been thoroughly revised to increase clarity, update data and current event impacts, and incorporate the feedback from many reviewers and adopters. 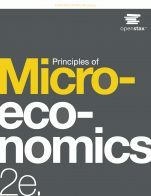 Principles of Microeconomics 2e cover is copyrighted by Rice University. It is not subject to the Creative Commons license and may not be reproduced without the prior and express written consent of Rice University. Principles of Microeconomics - 2e (OpenStax) by Timothy Taylor, Macalester College, Steven A. Greenlaw, University of Mary Washington, David Shapiro, Pennsylvania State University is licensed under a Creative Commons Attribution 4.0 International License, except where otherwise noted. 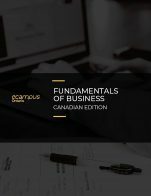 The textbook includes and covers all the major topics we would expect for an introduction to microeconomics. Some of the chapters could even be used for a second year course. Some chapters, however, could be more complete. As an example, there is very little game theory in the section for the oligopoly. On the other hand, the textbook sometimes include sections that we wouldn't expect but are quite welcome. For instance the section about behavioral economics at the beginning. I noticed one recurring typo in one chapter (profi instead of profits) but it has otherwise been very good. Some graph do look slightly different though. For instance on page 163, the look of the graphics isn't fully consistent with the rest of the textbook and this page looks more amateur. Content is absolutely up-to-date with relevant examples. They could update some pictures (like the Netflix print screen on page 107 is clearly outdated but this is a detail). I was actually quite impressed with some the extra content provided and many links were genuinely interesting to me. As for whether the text can easily be updated, I'd say yes. It's easy to just update the examples used or the external links provided. Let's remember that the core principles of economics haven't changed in a very long time anyway, so any update, if necessary, will likely be minimal in the short to mid-term. Absolutely, every technical term is clearly defined and explained. Economics often uses such terminology (elasticity being a good example) and the book is absolutely accessible. The learning outcomes at the beginning of each chapter also help clarifying, in advance, what the students will learn. I haven't noticed any issue here. The textbook is very much text-heavy without that many graph or pictures. I feel that it's modular if you want to skip chapters or re-arrange them (there is even a guide suggested for an alternative order of the chapters) but it'd be more difficult to do so within a chapter. It's not to say that there are multiple pages of text without a subheading, just that it visually looks very dense. Beyond this issue however, every is organized logically. Overall I'd say yes. I did find it slightly odd to have chapter 4 being about the labour and financial markets. It seems to be that it should come later as this is very much a specialized application of the general framework. Outside of that one, the textbook was very much organized the way I'd have done it personally. I was, in particular, quite happy to see the consumer behavior being brought up early on (chapter 6). No problem here. 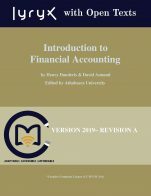 The interactive links for the various chapters (you click on the page number and it brings you there) makes it much easier to navigate an electronic textbook (something you'd think is standard but hasn't been in my experience, even with expensive textbooks). The uses of QR codes is also very much in line with modern practices. This was, by far, the best experience I've had with an e-book. I already mentioned the "profi" instead of "profits" but that was really the only one I noticed. I'm really not sure how to answer this question. Introductory economics doesn't deal much with those concepts. Later chapters about poverty for instance do contain some topics more relevant. There isn't any offensive term or image in the textbook. Maybe there could be more about culture diversity in consumer preferences for instance? I honestly don't know. 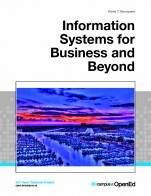 I'd definitely recommend this textbook (as a matter of fact, I already have and convinced one colleague to adopt it). It looks and feels like a regular textbook. The option to purchase a printed copy is also welcome. - On the page for the textbook, there is a link external instructor resources (such as "Open Now" or "Sapling"). I still don't understand if there is integration offered, at what price, etc. I clicked on the links but didn't understand. So it should be made much clearer as to what is available. With that said, the other instructor resources are awesome. - Very detailed recommendation: use a different formula for the elasticity. The point-elasticity is much easier to use than the average between two points method.